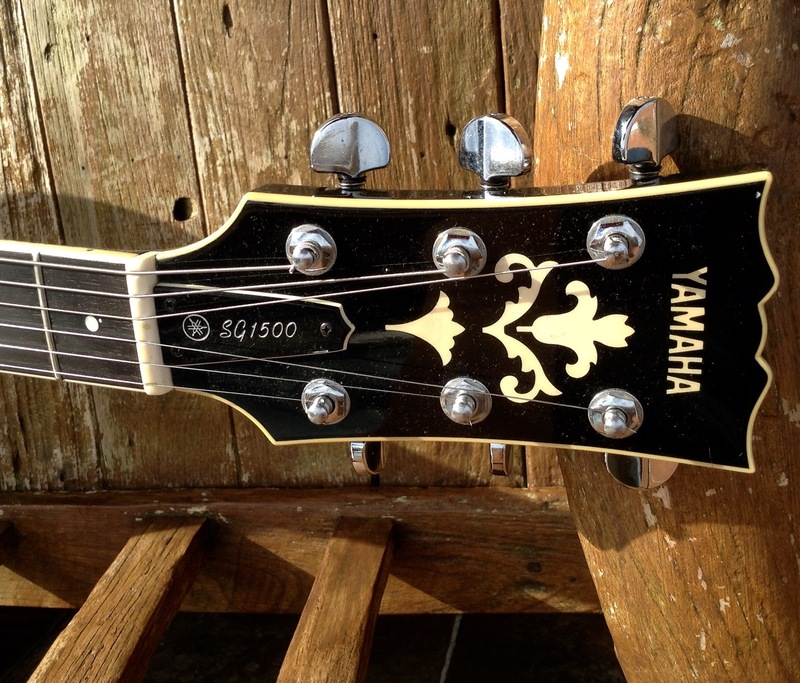 The Yamaha SG-1500, 2 models and History…. I get often asked the question, any SG-1500guitars available? . I then ask, which ones as there are 2 very different guitars made bunYamaha under the name Yamaha SG-1500. In order to explain the differences, we need to go back in the history of the Yamaha SG. 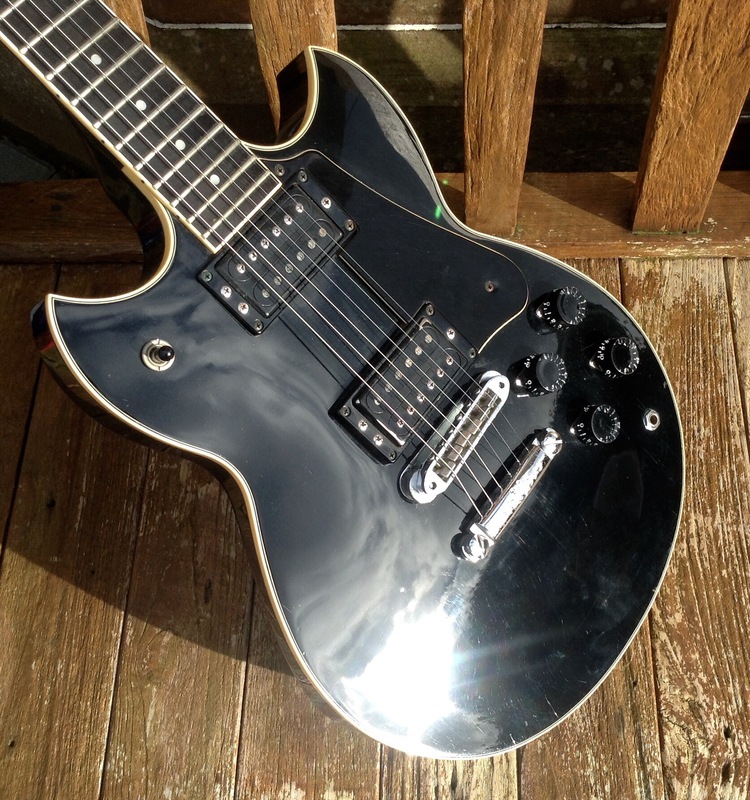 After Carlos Santana t step out the Yamaha SG-175, he liked the guitar but the guitar lacked weight and according to Santana, also lacked sustain. In the days of the early 1970s, Gibson was toying with the same issue. Chambered Les Paul’s or non-weight relieved, as the heavier guitar had the edge on the tone, they were heavy and often caused guitarists to develop shoulder issues. 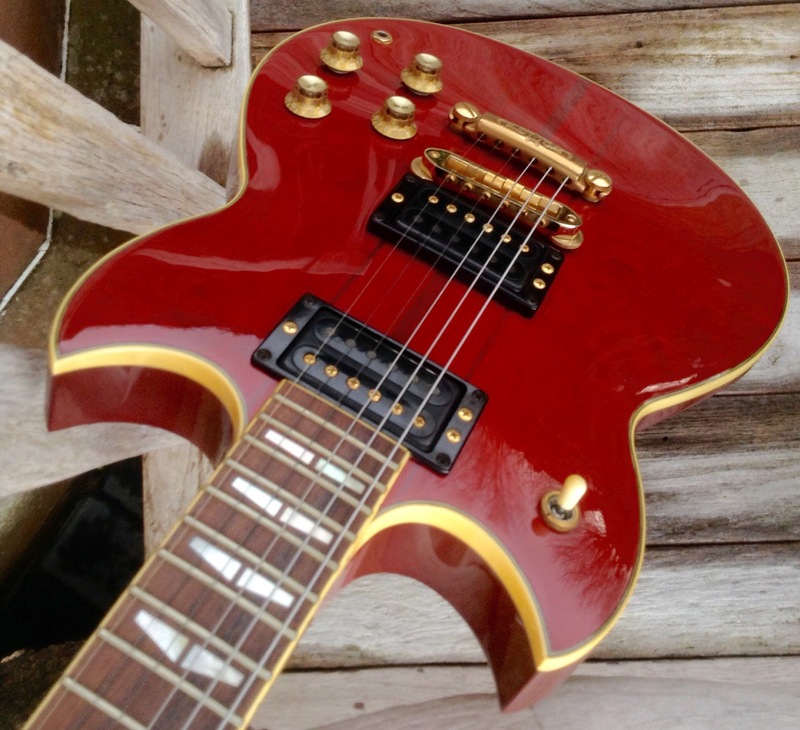 In 1975-6, following the Santana trials, the Sg-175 was modified to the SG-175 Santana, with a trough body neck, brass block under the bridge and generally heavy woods selection. This became effectively the Yamaha SG-2000. Yamaha music corp wanted to cash in on the solid body guitar market and launched the SG-2000 in 1976, with a line up of 5 models, 1 thru neck and 4 set neck models, these were the simple SG-500, coil tapped SG-700, and the 2 upper range SG-1000 and 1500 models, and the flag ship model SG-2000. The coil tapping option appeared only on the SG-700 and 1000 model and the SG-1500 and SG-2000 did not have that option until the mid 1980s. Now back to the SG-1500, this is truly the odd one out, expensive built, but looking simple and understated, the 1976 model had chrome where the SG-2000 had brass. And it had a set neck, tenon jointed but set nonetheless. It is by far the heaviest guitar in the range with the chrome block under the bridge and the heavy woods selection. The guitar sported a dot marker inlaid ebony fretboard and all. Home hardware. Built from a big slab of mahogany topped off with a maple cap, the SG-1500, 1976 style came in 2 colours, Cherry Sunburst and menacing looking black. 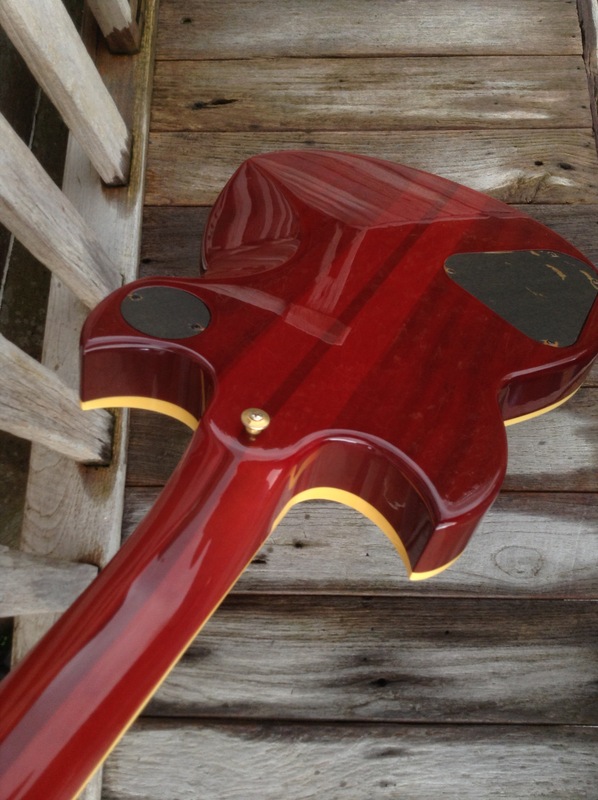 The guitar had a large headstock and simplebinding around the body, and was contoured at the back like the SG-2000, again a change from the SG-175 design, for players comfort. In 1979, production s halted of the SG-1500, as the model did not sell well, unlike the SG-2000, and prices were comparable. As rethink of the model was done and in 1981, with the popularity of the SG range quite high through the ” New Romantics” and Punk scene. The new SG-1500 is radically different and mixes design elements from the Sg-1000 and the Sg-2000, the set neck was replaced by a laminated throughneck, the pick guard disappeared and so did the chrome block and all the hardware was replaced by brass to give it a more upmarket feel. Unlike the Sg-2000 the thrum neck is far more pronounced as the laminated woods create a runway like feature on the back of the guitar, which aided by the choice of colours, red, green and walnut, gives it a beautiful see-thru feature . Nice article on the mighty 1500. One thing: you state the first version 1500 has a ebony board, while I thought it were actually roswd, differently from the 2000. It was Ebony, made in 1976-79, it also had a set neck with a chrome block, the later ones had a thru neck with rosewood fretboard. These wee made 1981-1984….also the finish was different. Early ones, red, black and Cherry Sunburst, the latter ones red, walnut and green and no pickguard as standard. Also the fret markers were different dots for the earlier ones and split wing for the latter…..